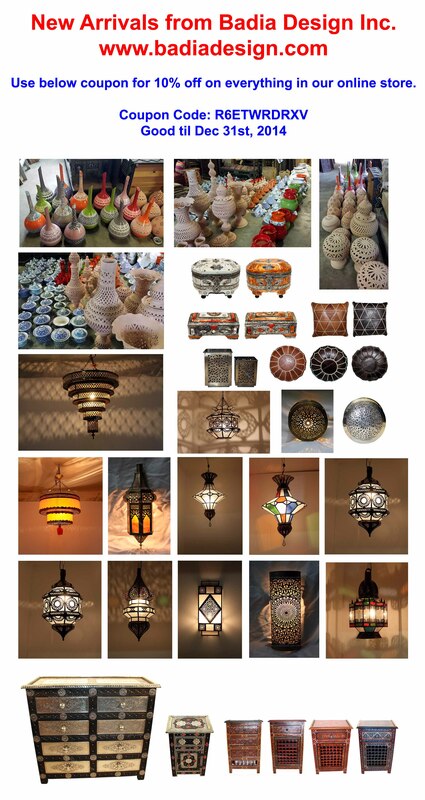 Check out some of our new Moroccan Home Decor arrivals including Moroccan ceramics, Moroccan indoor lighting, chandeliers, Moroccan seating, Moroccan furniture exotic Moroccan lighting and much more. Get a 10% discount on everything in our online store. Detailed info is in the picture below. Please go to http://www.badiadesign.com and use your 10% coupon upon checkout.